Large shrub or small tree with large, glossy dark green leaves, cinnamon coloured underneath. 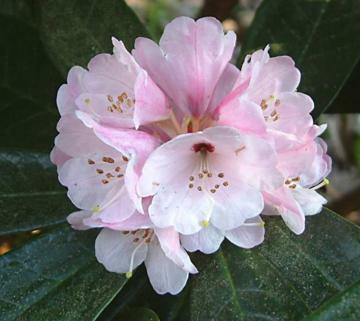 Blush-pink to deep rose-pink, bell-shaped flowers in early to mid spring. From Yunnan, NE Burma and SE Tibet..